One of the things I learned about traveling is about expectation; expectation on the places I’ll go to, expectation on the things I’ll experience, expectation on the people I’ll encounter and expectation on a lot of things. I realized that not everything goes as planned, that I should not stick with my expectations. But I should embrace the experience as it goes. As the saying goes, hope for the best but expect the worst. 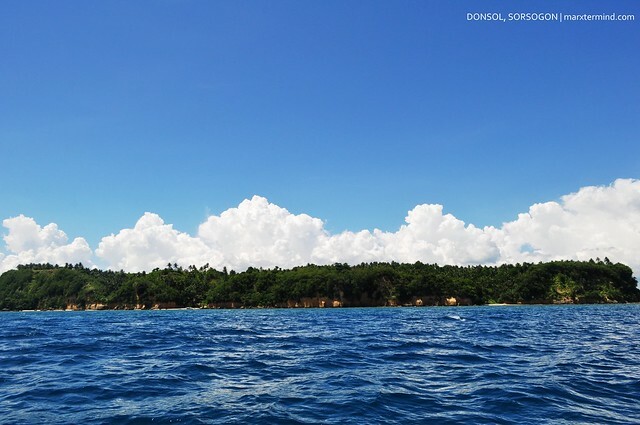 It was the month of May when me and my travel friends went to Donsol, Sorsogon. I was yearning for an ultimate adventure to end the summer season thus I decided to get here. We only had a night to spend so we had minimal time to allocate for the adventures this town has to offer. After we had settled our things in our room at the beach resort, we immediately proceeded to our first activity, firefly watching. I asked my Aunt Lalaine before-hand to arrange this tour for us. 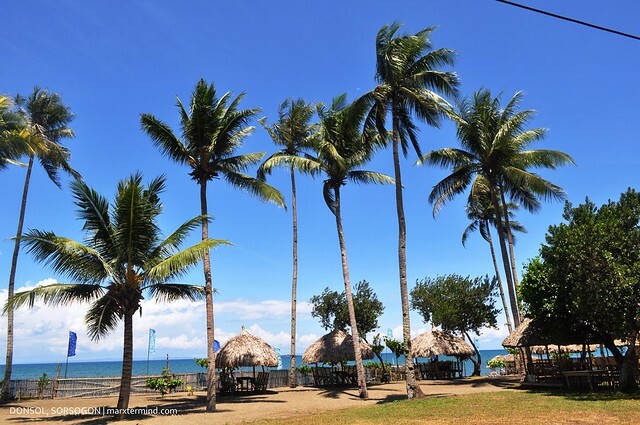 From Dancalan Beach Resort, we rode an outrigger boat going to Donsol River where the firefly watching takes place. The boat ride going to our destination was in fact an adventure already as we sailed the sea underneath the dark sky. It was my first time to do night sailing, kind of creepy and fun (as long as with my friends) at the same time. After more or less than half an hour we had finally arrived at the area which seems like to be a pick up / drop off point. Then a guide joined us over. She eventually discussed the bits of the tour, the do’s and don’ts like no flash photography. She also discussed the different stations where the fireflies can be seen. Donsol River is a 100 kilometer long winding river lined by mangrove forests, coconut trees, and shrubs, and flows out towards Mt Mayon. It has been said that the water and the thriving vegetation in the river makes this the perfect habitat for fireflies. I suddenly remember my childhood days when I was still living in our province. Whenever I see firefly in our yard, I usually chase it until I catch it. Those are the days. It was too dark, though I could see bushes and mangroves. Only those lovable insects lit the surrounding. I couldn’t help but came into thinking of some scenarios that could happen like what if there’s an alligator in the river, what if there’s a wild animal behind those bushes and trees, what if there’s a crocodile silently watching us then suddenly attack us. I don’t really like river in general (that’s why I usually walk fast whenever I cross a bridge). Nevertheless, the river tour gave me and my companions amusement as well as calmness and serenity. I couldn’t hear anything but peacefulness. 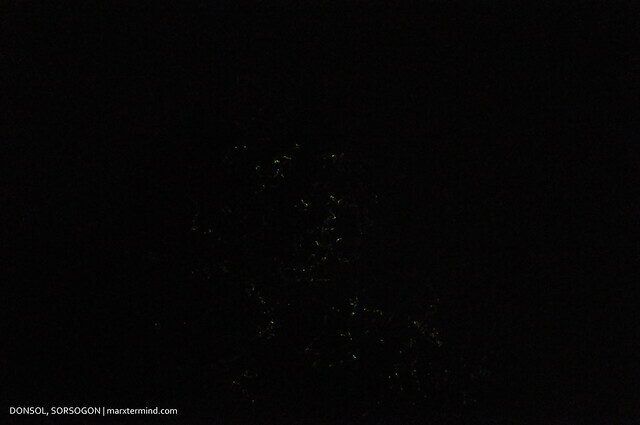 Here’s my most decent shot of fireflies flying around the trees. There are number of stops to watch those fireflies surrounding the trees. We stopped by some of these areas. The firefly river tour costs PHP 1,500 good for 5 persons. After the tour we went to the town proper to look for some cheap restaurants wherein we could have our dinner. There were a lot of people in the central part of the town. There are night market, small parties and some people who seems to be waiting for something, a show or some sort. We looked if there are still restaurants open but seems like there’s nothing open on this town anymore during that time. So we just bought some snacks and drinks for us to eat later in our room. We went back to the resort and subsequently had our dinner at their resident restaurant, Siramsana. Certainly, it’s a blessing in disguise that we weren’t able to find an open restaurant in the central town as we were able to taste the food in Siramsana restaurant. Each meals served was outstandingly delicious. I planned to wake up early the next day so we can eventually have our next activity, Butanding Interaction, early. But blamed it on the alcohol we had last night, I woke up late and I had headache. I woke up around past 9:00 AM; subsequently had our breakfast. 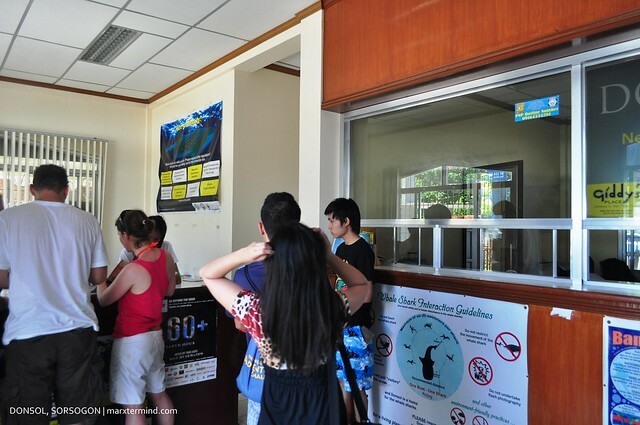 By 10:00 AM, we went to the Donsol Tourism office and arranged our Whale Shark Watching Tour. The office is just beside our resort. We then registered at the tourism office with PHP 100.00 payment for locals. PHP 300.00 should be paid if you’re a foreigner. The center opens at 6:00 AM. The whale shark interaction tour costs PHP 3,500 per boat which includes the skipper, spotter (who lookout for whale sharks) and Butanding Interaction Officer (BIO) (who oversees the whale shark interaction). You also need snorkeling gear so better bring one. Snorkeling equipments are also available for rent outside the tourism office for PHP 150.00 to PHP 300.00. The boat is good for 6 excluding the tour staff. If you’re a solo traveler, you can ask assistance at the tourism office to join and share the expenses with other tourists. We watched the video presentation first about the whale shark before getting into the tour. Whale Shark, Rhincodon Typus, is included in the list of endangered species. This species is a slow-moving filter feeding shark and the largest extant fish species. There are only about 1000 identified Whale Sharks worldwide. The whale shark interaction in Donsol is strictly for snorkeling activity. I’ve read that scuba diving in Donsol Bay isn’t allowed for safety purposes. It is not recommended to have divers and snorkelers in the same area because the boats are constantly on the move. 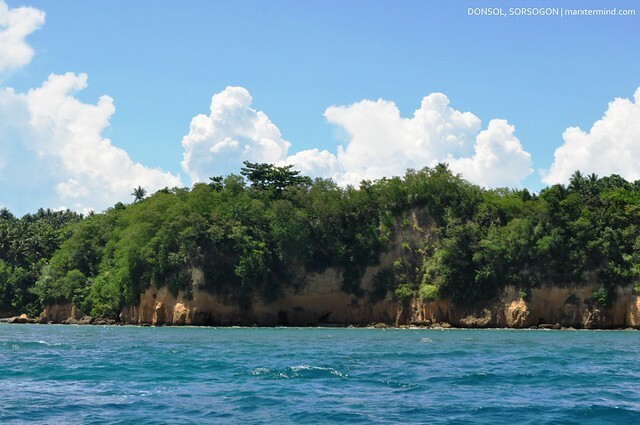 The tourism office of Donsol set designated area for scuba diving. 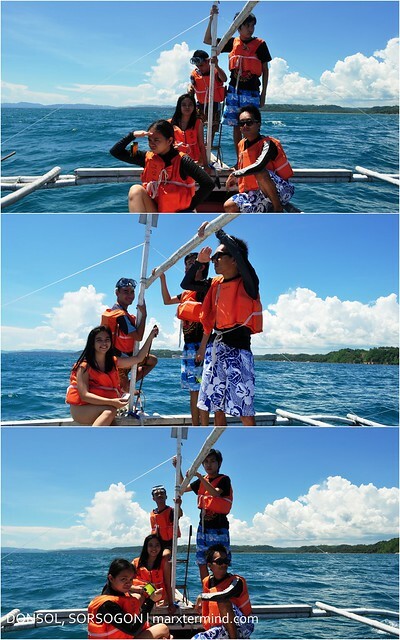 After watching the 10-minute video presentation we then went to the shore and boarded to our assigned boat. As we sailed to the sea in quest for this distinct creature, whale shark, our BIO discussed some information about the tour and the whale shark and the do’s and don’ts. 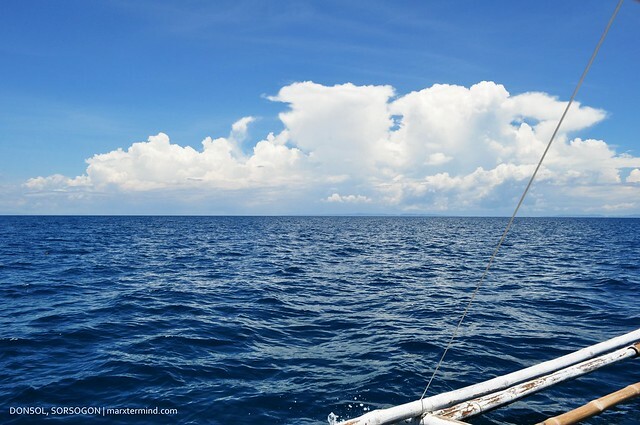 We were told that it has been like six days already since the last sighting of Butanding in the sea. There’s no guarantee that a Butanding could be spotted during the course of out tour but let’s hope for the best. Our group was hoping that we could at least see one. 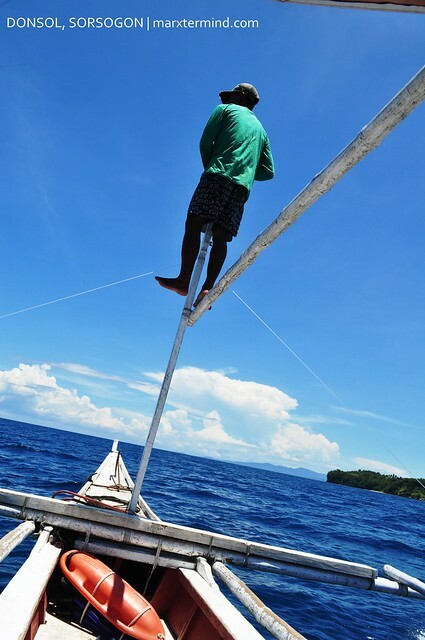 Here’s our vigilant spotter on the look out for whale shark. Then suddenly, one has been spotted. We panicked, everyone gone crazy. 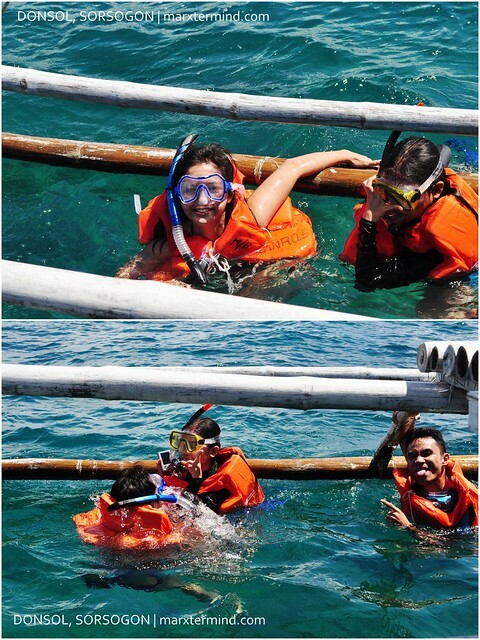 We felt so excited to jump to the sea and swim with this rare animal. One of my friends looks very excited as she continually screaming and shouting with her excitement. We sailed the sea for another hour hoping that we could see another one. But looks like it’s the only one that will show up. After all, we were still lucky. For seven days our group was the only who was able to see the whale shark. A very fortunate encounter, indeed. We stopped by at the middle of the sea for a moment. Our BIO let us swim and feel the sea before we get back to the shore. We snorkeled. I suddenly remember my trip to Palawan when I was snorkeling in Coron, very impressive underwater world. The waves were too big that it let us sweep off from the boat. I was snorkeling and looking on those fun underwater creatures then when I looked up, I was already meters away from the boat. I got frightened; so I shouted on our BIO to help me bring back to our boat. After that, I didn’t went out of the outrigger anymore so not to be moved away by the waves. Few minutes after, we went back to our boat. We then proceeded back to the shore. It was a 4-hour cruising the sea on the look out for whale shark. We felt fortunate to spot one after all. We went back to the resort and prepared our things for our departure. We then had our late lunch in one of the resort’s nipa huts. At around 4:00 PM, we were left hanging as we leave the resort’s vicinity. 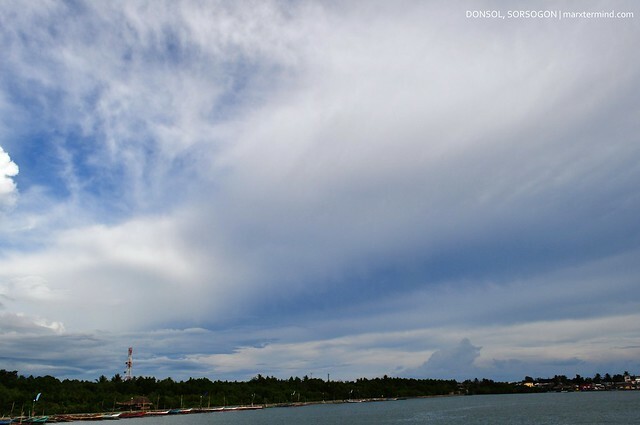 It was indeed a very short time to explore the quaint town of Donsol. From Dancalan we rode a tricycle to get to the central town. Unfortunately, there were no more vans around that will take us to Legazpi City. We were left with no option but to ride the jeepney to Daraga. Since one of my friends need to catch her bus ride to Manila by 6:00 PM, we asked the driver if we could leave early and speed up a bit so our friend can catch her bus trip. We were not running out of luck as we arrived in Daraga with still a couple of minutes for my friend to catch her trip. Though unfortunately we didn’t able to visit Cagsawa Ruins anymore as it was already night fall. Two bid their good byes as they still have work to do while four of us were left as we continue our travel to Camarines Sur in pursuit of adventure. The concluded travel to Donsol continually makes me miss some things like my travel buddies who share the same passion as mine, the offbeat town of Donsol, and the feeling of traveling. And I can’t wait to feel that feeling again. I just love this post! The first photo is spectacular and the narratives superb. I hope to travel with you and its nice to have met you personally at the launch.